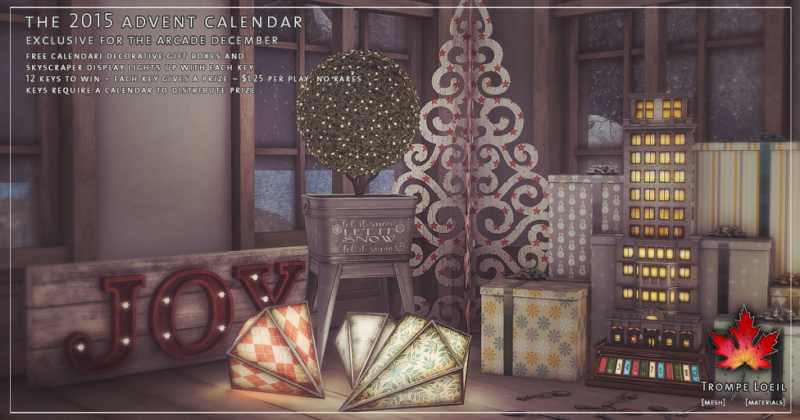 Its the most wonderful time of the year – Trompe Loeil’s Advent Calendar is back for The Arcade’s December round! 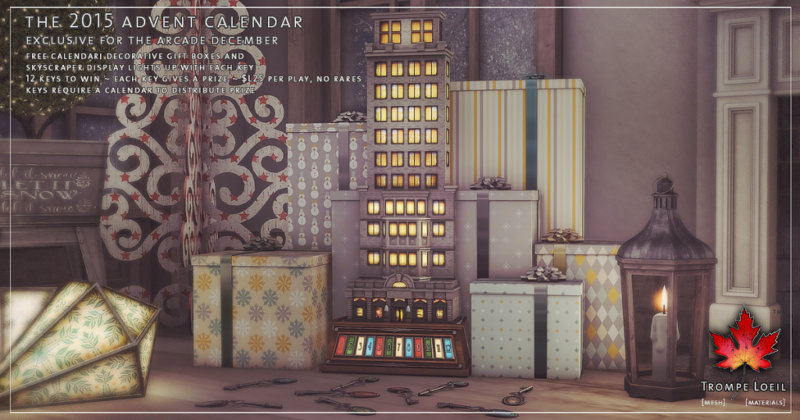 The 2015 Advent Calendar features a decorative display of boxes with a big-city feel – a skyscraper with 12 floors that light up with each key, and give a fabulous decor gift perfect for the holidays! 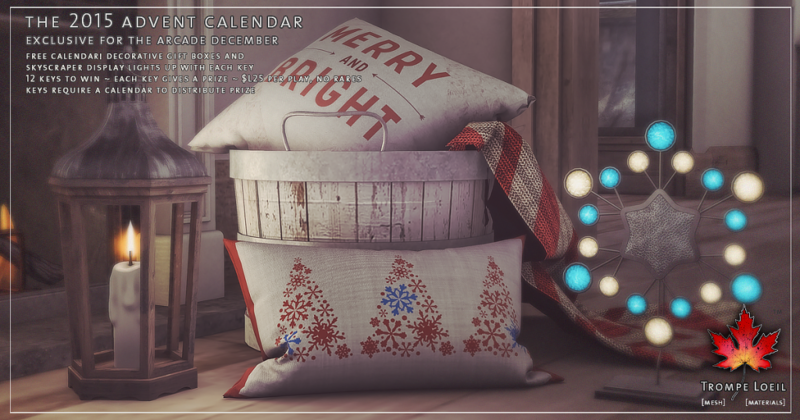 As always, each Gatcha play is only $L25 with no rares, and the display calendar is free! 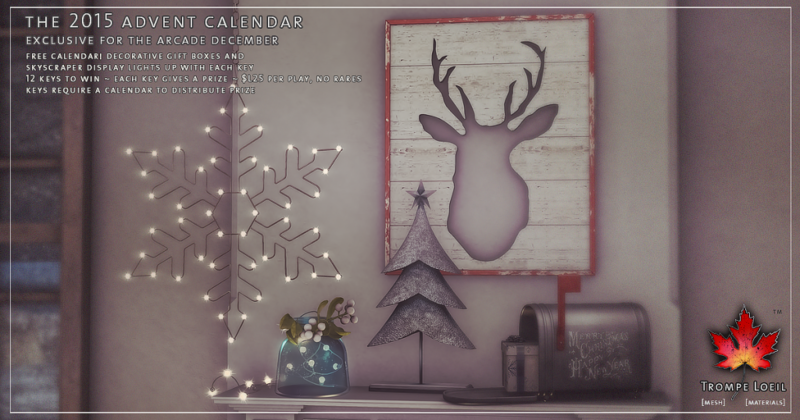 Grab both at The Arcade through the month of December, or if you need a new copy of the display calendar, head to the Trompe Loeil Mainstore and pick one up from our in-store display. 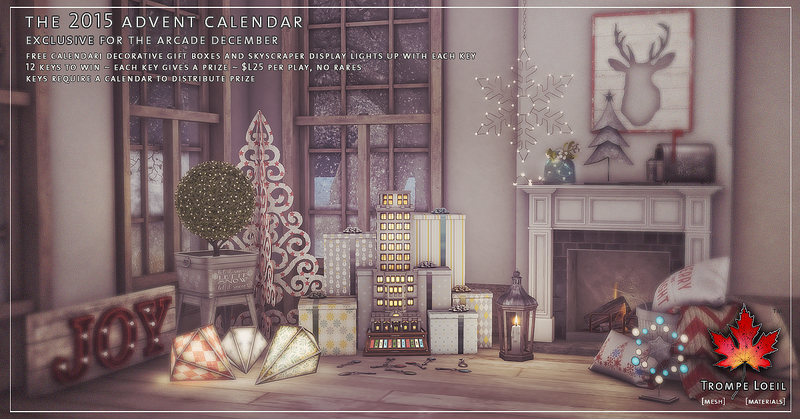 Happy holidays from Trompe Loeil!